Moths are beginning to appear in our house overnight, generally at the rate of one new species per day – a perfect rate for my speed of moth identification. We’ve had Light Emerald, Cinnabar and Treble Lines. On Thursday, this White Ermine. Thanks to @WoodlandDave and @GraemeLyons for the ID on that one. 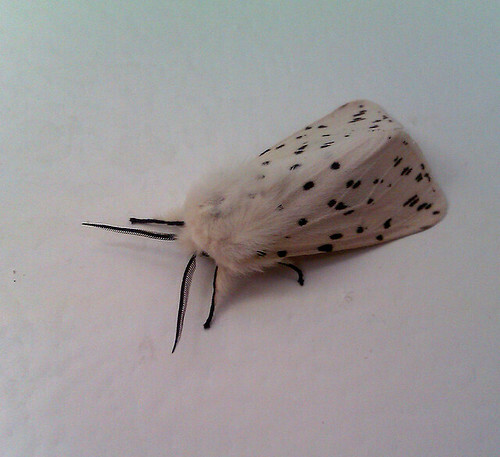 This entry was posted in Local sightings, photo and tagged firle, moth, white ermine by Charlie Peverett. Bookmark the permalink.